Don’t be confused by this sign, because it does resemble a lot of other Mobil signs. There is one other sign that is identical, minus the Aircraft phrasing underneath. 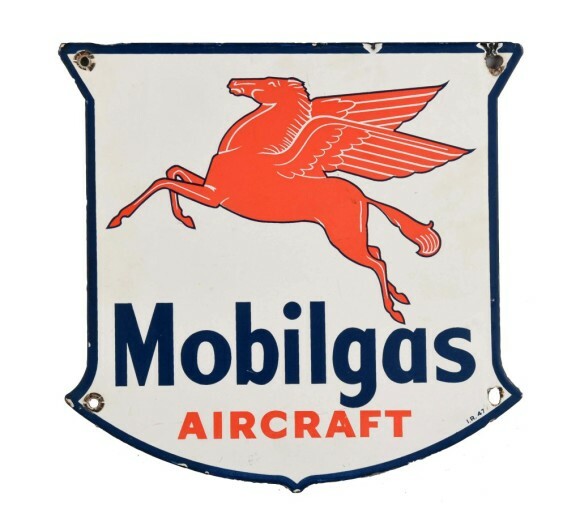 This sign shows the red Pegasus and has the text “Mobilgas Aircraft” written below the horse.